Very well located, next to the seaside (2 minutes walking) and main center (5 minutes walking). Niarute was very charming and helpful. Apartment includes everything that is needed to spend a wonderful time at beautiful Palanga. If I ever return to Palanga, I will stay here again. very nicely decorated guesthouse. equipped with everything one might need. we definetely need to come back! Замечательные хозяева. Отличный номер. Есть всё необходимое. За пять лет, что мы ездим в Палангу это лучший вариант! Месторасположение идеально! Тихо. Близко к морю. Рядом магазины. В общем отлично! Жена в восторге! И я тоже. Czyste, codziennie sprzątane pokoje. Codzienna wymiana ręczników. Bardzo dobrze wyposażone apartamenty. Sporo sprzętu kuchennego (chociaż brakuje otwieracza do piwa i korkociągu :)), pralkosuszarka. Bardzo dobra lokalizacja, niespełna 10 minut spacerem od pięknej plaży. Bezpłatny parking obok obiektu. Życzliwi i pomocni gospodarze. Nustebino šiltas priėmimas. Labai šaunūs šeimininkai. Gera vieta, arti jūra. Apartamentai pranoko visus lūkesčius, tvarkingi, švarūs yra visi būtiniausi daiktai, buvome maloniai nustebinti.Tik patys geriausi atsiliepimai. Lock in a great price for Inkaras – rated 9.5 by recent guests! One of our best sellers in Palanga! 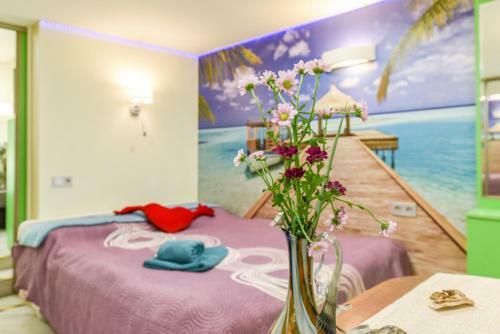 Only 1,000 feet from the beach on the Baltic Sea, Inkaras is within Palanga’s center. It offers apartments with free Wi-Fi and a cable TV. Free private parking is available. The apartments of the Inkaras feature an interior design. Some of them feature pinewood ceiling paneling. All apartments have a private bathroom with heated floors, a dishwasher and a washing machine. All kitchenettes have a small electric stove, a fridge and kitchenware. Some units have private terraces or balconies. There is a designated barbecue area and children playing area onsite. Guests can play a game of darts at the guest house, as well as rent a bike in the neighborhood. A shuttle service is available at a surcharge. Basanaviciaus gatve is a 15 minute walk from the guest house. Palanga airport is a 8 minute car ride from the hotel. 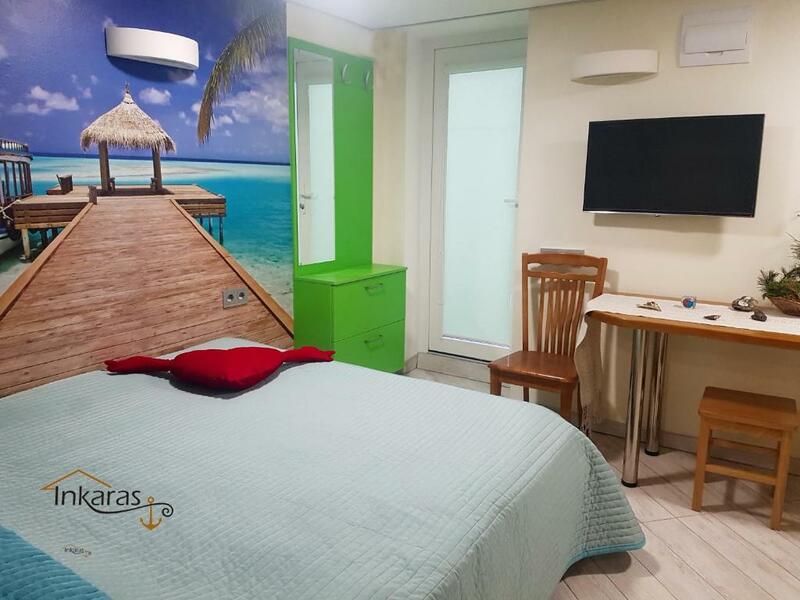 Inkaras is located 650 feet from tennis courts and free children playground, as well as a pine forest with bike and hiking/running path. When would you like to stay at Inkaras? 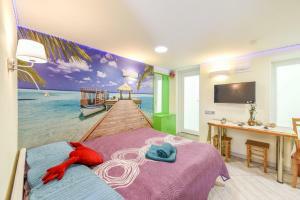 Pastel-colored apartment with wooden paneling, a small kitchenette and a flat-screen TV. A warmly decorated apartment with a private outside terrace and a private entrance. The unit offers tile/marble floors, a flat-screen TV and a kitchenette with kitchenware. Warmly decorated two-floor apartment with a balcony or terrace and a private entrance. The unit features tile/marble floors, a flat-screen TV and a kitchenette with kitchenware. This apartment has a kitchenette with kitchenware, wooden floor and a flat-screen TV. This two-floor apartment has a dining area, wooden ceiling and floors, as well as a kitchenware. This apartment features a seating area and a private entrance, tile/marble floor and wooden ceiling, as well as a balcony. 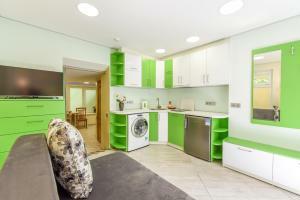 The unit also offers a kitchenette with kitchenware, and a flat-screen TV. This apartment is located on the ground floor and has a seating area, marble floor, as well as a private terrace. 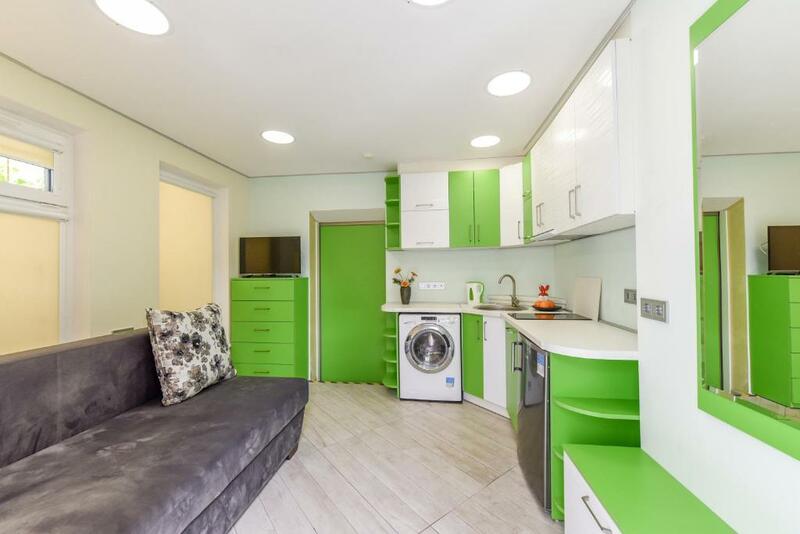 The property features a kitchenette with a dishwasher, a washing-drying machine, an electric kettle, a fridge and kitchenware. Vila "Inkaras" įsikūrusi ramioje Palangos gatvėje, šalia Baltijos jūros (300 metrų). Netoliese parduotuves ir kavines. Visoje teritorijoje ir apartamentuose veikia ypač spartus nemokamas belaidis internetas. 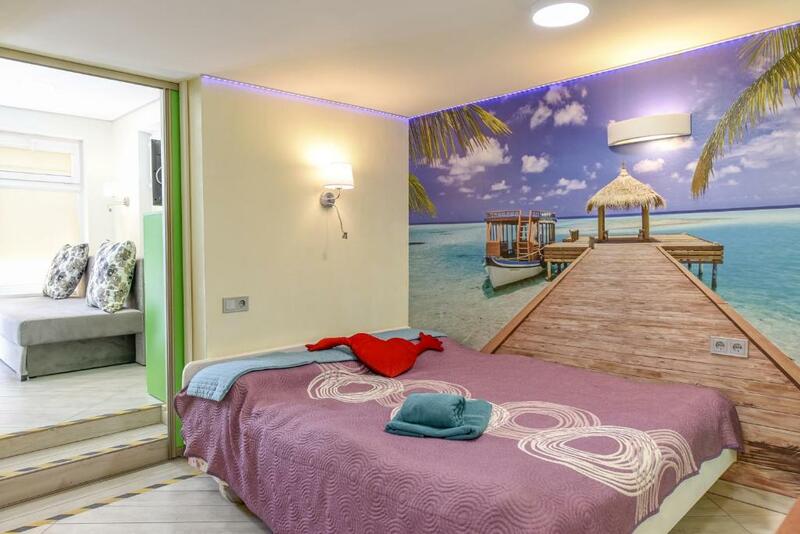 Visuose apartamentuose yra plokščiaekraniai TV su kabeline televizija, seifai. Svečiai kviečiami apsistoti aštuoniuose savarankiškam gyvenimui pritaikytuose vieno ar dviejų aukštų apartamentuose su visais šiuolaikiškais komforto atributais, suteikiančiais galimybe ruošti valgį. Mini virtuvėse rasite valgomąsias zonas, kaitlentes, šaldytuvus, indaploves. 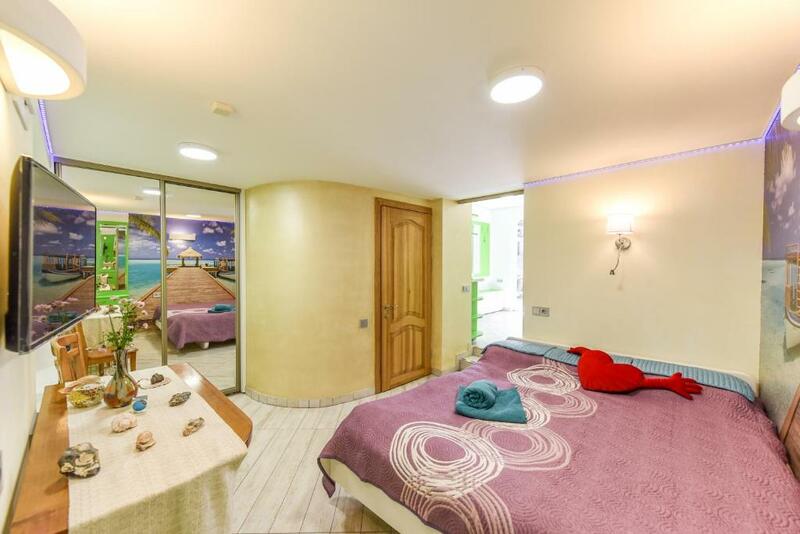 Apartamentuose - atskiri vonios kambariai su šildomomis grindimis, skalbimo mašina. Į numerių kainą įskaičiuota rankšluosčiai ir patalynė. Daugumoje apartamentu irengti balkonai ar terasos su lauko baldais. Malonūs, draugiški, paslaugūs, svetingi šeimininkai teikiantys apgyvendinimo paslaugas jau daugelį metų, perduoda patirtį iš kartos į kartą. Visada suteikiamas išskirtinis dėmesys kiekvienam svečiui. Atvyksite ir pasijusite laukiami svečiai. Vila "Inkaras" yra už 200 metrų nuo nemokamos vaikų žaidimų aikštelės ir artimiausių teniso kortų. Parduotuvės, kavinės yra netoliese. Pušynėlis su dviračiu ir bėgimo taku bei lauko treniruokliais yra ranka pasiekiamas. House Rules Inkaras takes special requests – add in the next step! A EUR20 damage deposit is required on arrival (around USD22.49). This deposit will be fully refunded 7 days after check-out, as long as there isn't any damage to the property. Inkaras accepts these cards and reserves the right to temporarily hold an amount prior to arrival. Please note that the hotel will contact the guests after the booking in order to arrange a deposit payment. Please inform Inkaras of your expected arrival time in advance. You can use the Special Requests box when booking, or contact the property directly using the contact details in your confirmation. A damage deposit of EUR 20 is required on arrival. That's about 22.49USD. This will be collected by PayPal. You should be reimbursed within 7 days of check-out. Your deposit will be refunded in full by PayPal, subject to an inspection of the property. Great host, lovely location and very clean!! parking places were not many. understandably in prime location like Inkaras, it isn't easy to have land for cars.